DO blondes have more fun? 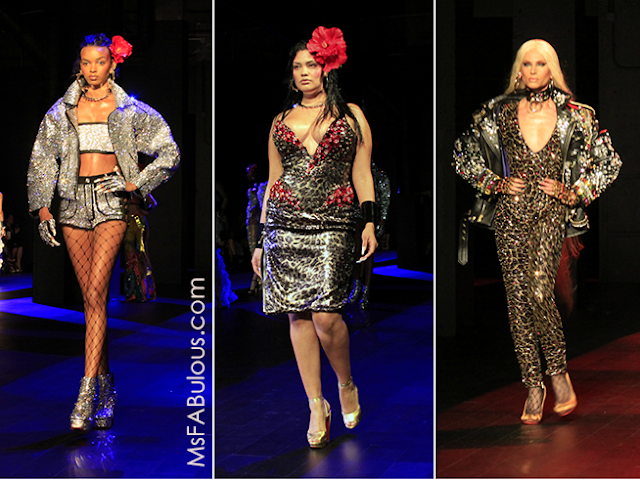 The label is called The Blonds for a reason. Spring 2018 for the designers took the general concept of streetwear and amplified the glamor and embellishment to the Nth degree. Starting with the basic garment items of denim jackets, jumpsuits, slip dresses and shorts, the pieces were then given an extreme bling treatment. The Blonds are known for dressing the biggest stage divas of our generation. This collection offered outfits for performing AND for when they want to step out without losing the glamour. Embellishment artisans were working backstage right up until the moment models took the runway. 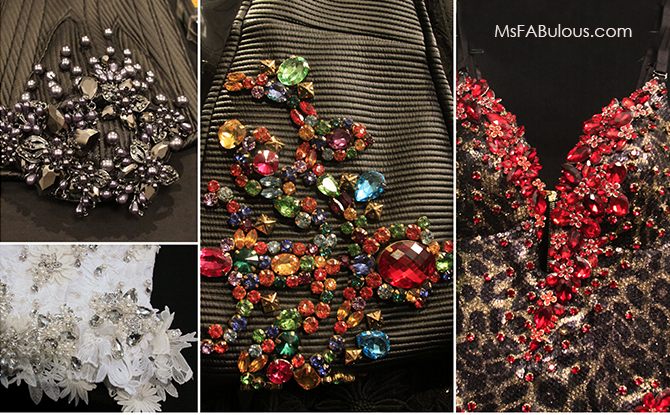 The Blonds collaborated with Preciosa Crystals to create colorful jeweled embroideries that elevated each piece. The three-dimensional look to the embroidery was achieved through a combination of mixed sizes and shapes of the crystal components, embellished with an irregular pattern. Large, chunky chains were also used to give a shiny, urban glam effect to the hardware. Big cut fabric appliques were twisted and folded to give a dimensional, lacy look. Preciosa crystals were also used for the beauty looks. Make-up artists painstakingly applied crystals for elaborate nail art and as eye embellishments. Despite the "platinum" theme, I liked the diversity of the models. A full range of ethnicities, genders and body shapes were represented, as long as they looked fierce. Celebrities in the front row included Paris Hilton and Instagram meme curator and The Fat Jewish, rumored to be launching a fashion collection together. Attending The Blonds Spring 2018 collection does set the bar high for you guys, so good luck. Need a dose of bling and fabulous-ness? You can rest here.